The Apsley is a deep drawer bathroom vanity that gives a luxurious sense of space. If you require more drawer space then the Apsley is the one for you with varying combinations depending on the size vanity you require. If you want a large vanity that has a designer look about it, why not add a cultured marble twin bowl top to this unit and really let it stand alone in the world of vanities. While you are at it add a tower unit as well. 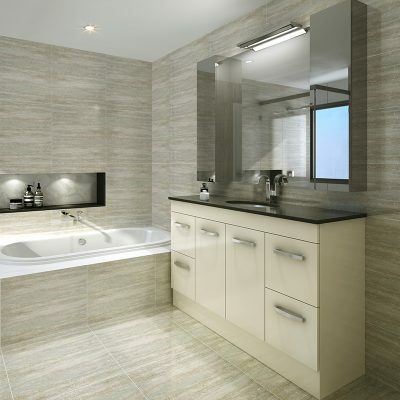 You will love the final result that you have created in your outstanding bathroom.